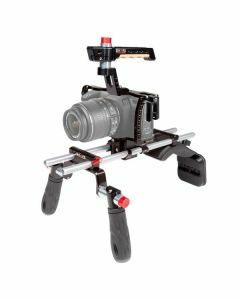 Shoulder mount designed specifically for the BlackMagic Pocket Cinema 4K Camera. Shoulder mount designed specifically for the BlackMagic Pocket Cinema 4K Camera. Camera not included.